Why Are Your Teeth So Important? Have you ever wondered how your life would be without your teeth? Well, a lot of problems might come then – you won’t be able to eat properly, can’t speak coherently, your mouth may not look attractive, and your smile might lose its charms. A huge difference can happen if you don’t have teeth in the mouth. It’s the presence of teeth that helps you eat, speak without facing any problem whatsoever. The pearly whites in the mouth set the foundation for a good personality of yours apart from helping with the oral cavity functionality. And yes, any top dentist in Delhi can confirm that teeth have quite an important role to play. Can you think of eating without the teeth? If there were no teeth, you would not able to eat the food. You would not be able to grip the food or break the food into smaller bites. When there are no teeth, it becomes harder to swallow as foods can’t be chipped, broken or smashes into bite-sized pieces easy to intake. There will be digestion issues if the food is not properly broken and chewed. Clearly, teeth have a key role to play in digestion as it readies the food to enter the stomach in the shape fit for the organ. Your mouth is as strong as your jaw. And without teeth, your jaw would not have the same strength it does. Your pearly whites are responsible for making your jaw bone strong and powerful. 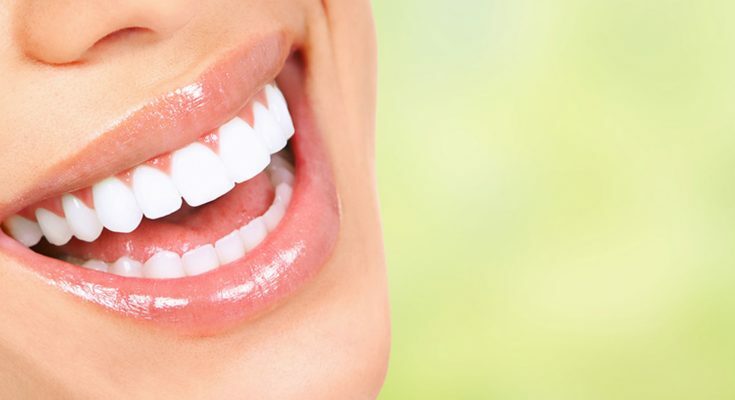 Since the teeth are connected to the gums which are then connected to the jawbone, it’s thus important that your teeth are healthy. In fact, misalignment of the jaw can happen if there is tooth loss and this condition often causes a lot of pain. You can clearly see how the teeth are responsible for the health and strength of your jaw. The teeth in your mouth are the reason why the jawbone is retained firmly in its place. This is how your facial contour is maintained, or this is how your face retains its natural shape. The connection of your teeth to the jaw is also responsible for your firm facial feature. For that reason, the cheeks may appear sunk when you lose some teeth, and this may also make you look older to your age. Teeth are this essential in keeping your look young and giving your visage a youthful appearance. You can’t make coherent sound without teeth. Speech difficulties are common among people who have lose one or more of their natural teeth. It’s the teeth that let you produce a variety of sounds and get coherent speech. You can pronounce different worlds only by holding the tongue with your teeth and making different tongue positions. This would not be possible if you did not have your natural teeth in place. The way you speak, the ease with which you utter words and produce sounds, all is only a reality due to the teeth in your mouth. Your smile makes you look beautiful. It’s integral to your personality. The way you smile and conduct yourself can make you look good and win hearts easily. So, can you expect a great smile in the absence of teeth? Will you be equally attractive and good-looking if you were to lose your teeth? Definitely, not, as your pearly whites are the reason why you look confident and good to the people around. For that reason, people love flouting their pearly whites as if it’s their ticket to stardom. People with whiter, brighter and healthier teeth look more confident that those whose teeth are stained and look unhealthy. The same set of people are more confidence because their smile is attractive, they are considered more sociable and they are easy to talk to. Can you think of any other body part that adds that much value to the body as teeth so effortless do? That’s why you must make it a point to visit only the best dentist in Delhi and give the best possible care to your teeth, always. Previous Article What does a Financial Advisor do?